Without the need for dye, non-invasive BluePeak – Blue Laser Autofluorescence imaging takes advantage of the natural fluorescent properties of lipofuscin. 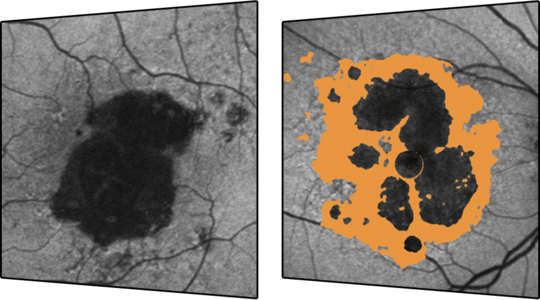 BluePeak autofluorescence captures fundus autofluorescence (FAF) images, providing both structural and metabolic information about the retina. 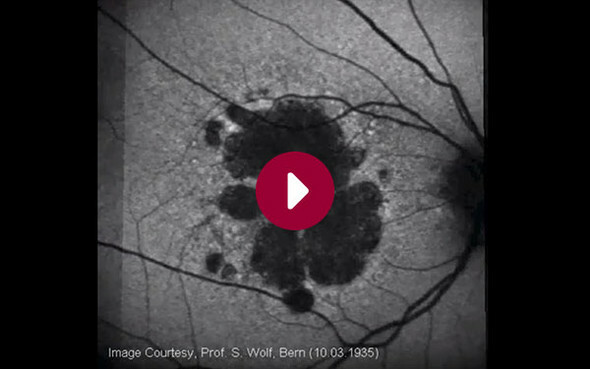 The optional RegionFinder Software allows to quantify and track dark areas (atrophic areas) on fundus autofluorescence (BluePeak) images, typically used for following progression of geographic atrophy.